208 pages | 32 B/W Illus. 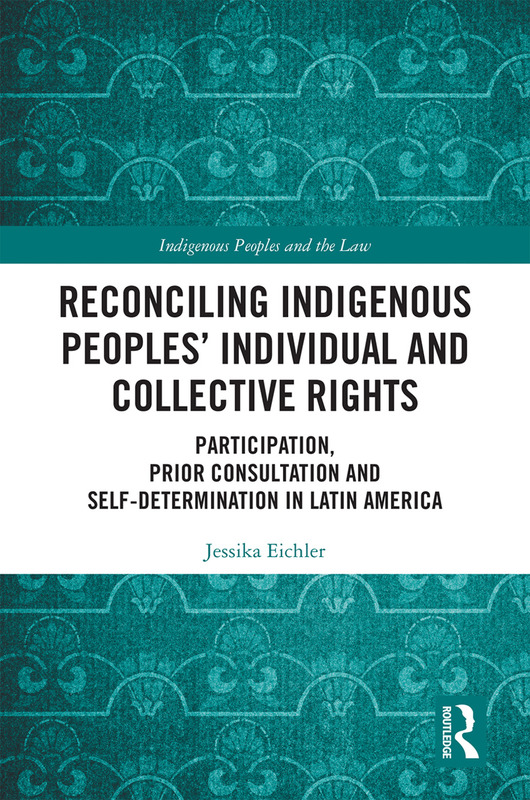 This book critically assesses categorical divisions between indigenous individual and collective rights regimes embedded in the foundations of international human rights law. Both conceptual ambiguities and practice-related difficulties arising in vernacularisation processes point to the need of deeper reflection. Internal power struggles, vulnerabilities and intra-group inequalities go unnoticed in that context, leaving persisting forms of neo-colonialism, neo-liberalism and patriarchalism largely untouched. This is to the detriment of groups within indigenous communities such as women, the elderly or young people, alongside intergenerational rights representing considerable intersectional claims and agendas. Integrating legal theoretical, political, socio-legal and anthropological perspectives, this book disentangles indigenous rights frameworks in the particular case of peremptory norms whenever these reflect both individual and collective rights dimensions. Further-reaching conclusions are drawn for groups ‘in between’, different formations of minority groups demanding rights on their own terms. Particular absolute norms provide insights into such interplay transcending individual and collective frameworks. As one of the founding constitutive elements of indigenous collective frameworks, indigenous peoples’ right to prior consultation exemplifies what we could describe as exerting a cumulative, spill-over and transcending effect. Related debates concerning participation and self-determination thereby gain salience in a complex web of players and interests at stake. Self-determination thereby assumes yet another dimension, namely as an umbrella tool of resistance enabling indigenous cosmovisions to materialise in the light of persisting patterns of epistemological oppression. Using a theoretical approach to close the supposed gap between indigenous rights frameworks informed by empirical insights from Bolivia, the Andes and Latin America, the book sheds light on developments in the African and European human rights systems. 2.1 Third Wayers and Terminologies: Bridging the Individual versus Collective Rights Divide or Third Categories as Distractions? 2.2 Dichotomies, Incommensurability or Constructed Demarcations? Chapter IV: Associating Women’s and Indigenous Collective Decision-Making Processes: Frameworks of Exclusion? Jessika Eichler is Research Fellow in the Law & Anthropology Department at the Max Planck Institute for Social Anthropology and trAndeS programme, Institute for Latin American Studies, FU Berlin.